And S-t-i-l-l! 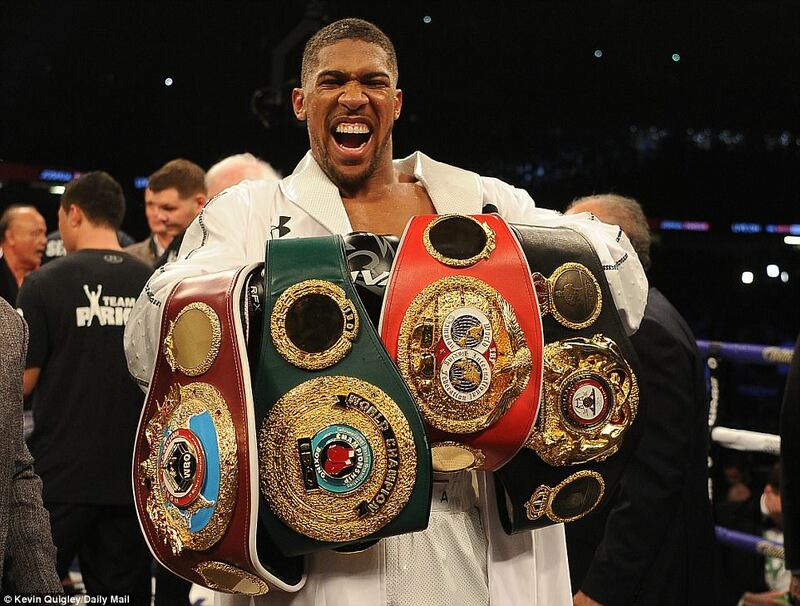 Joshua adds another layer of history!!! 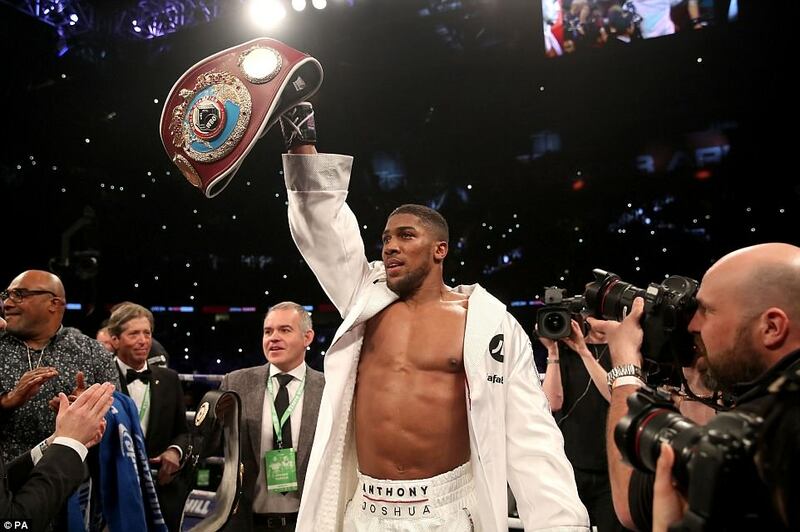 Anthony Joshua went the distance for the first time in his professional career but emerged as the clear winner to add the WBO heavyweight belt to his WBA, IBO and IBF titles. 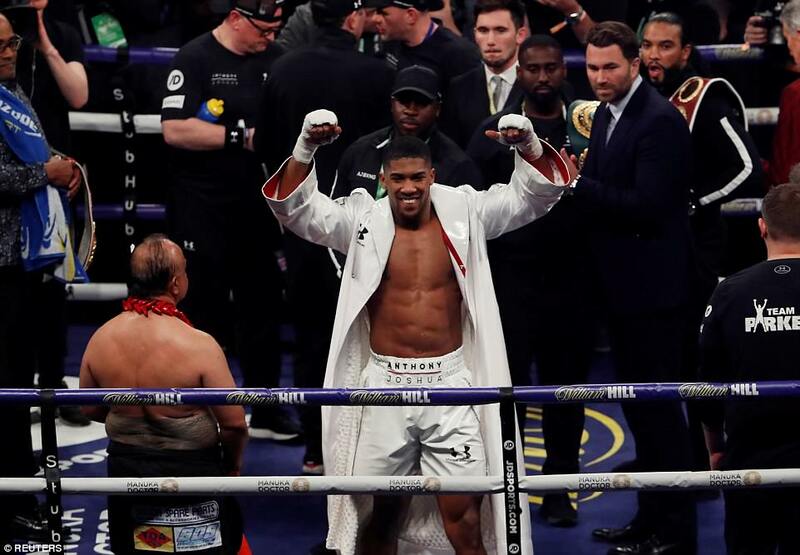 The British champion controlled much of the fight although never looked close to maintaining his record of knocking out every fighter he has faced. 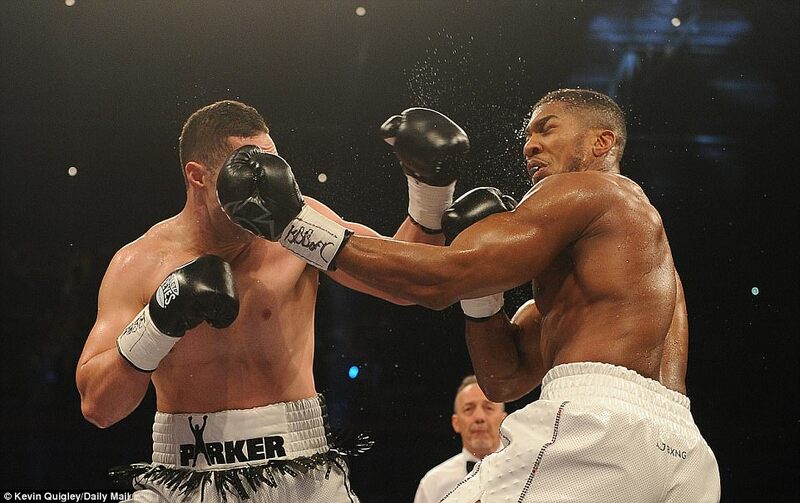 Parker was quick and scrappy, but was not able to penetrate the defensive of Joshua, who failed, as Parker had predicted, to tire in the latter rounds. The rains relented in the city but with the temperatures still stuck in midwinter the upward of 80,000 in attendance were as grateful for the roof over the stadium as the combatants in the ring. 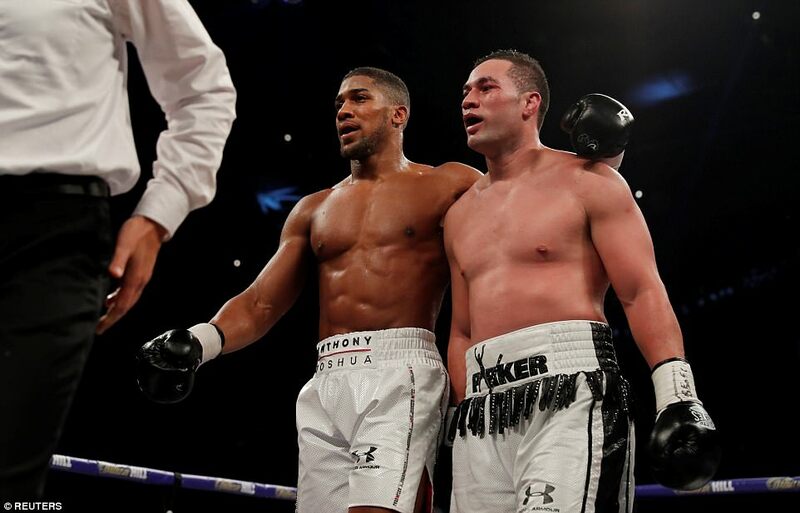 Joshua had threatened to warm things up by bringing blood and pain to the heavyweight argument, while Parker had talked in terms of waging war. The language – verbal and body – had been respectful between them throughout the build up but both had trained to their lightest battle trim for some time. 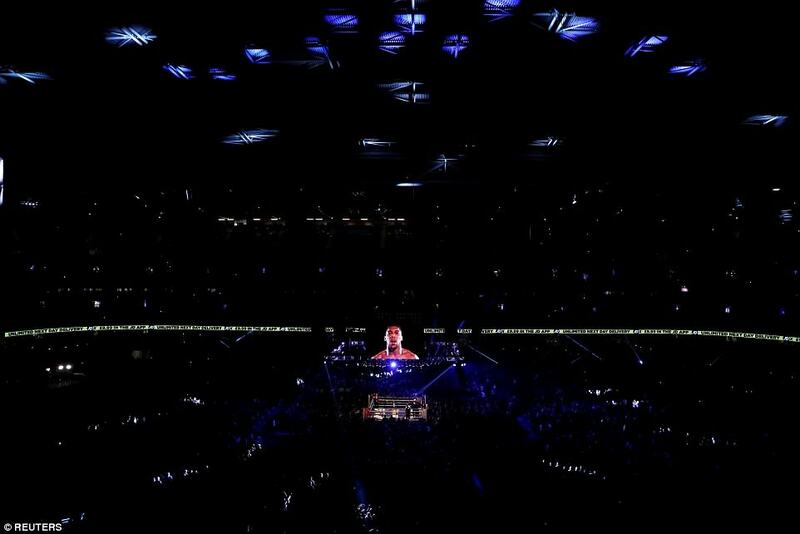 There was a bubbling sense of expectancy about two unbeaten giants contesting a world heavyweight title unification fight on British soil for the first time. 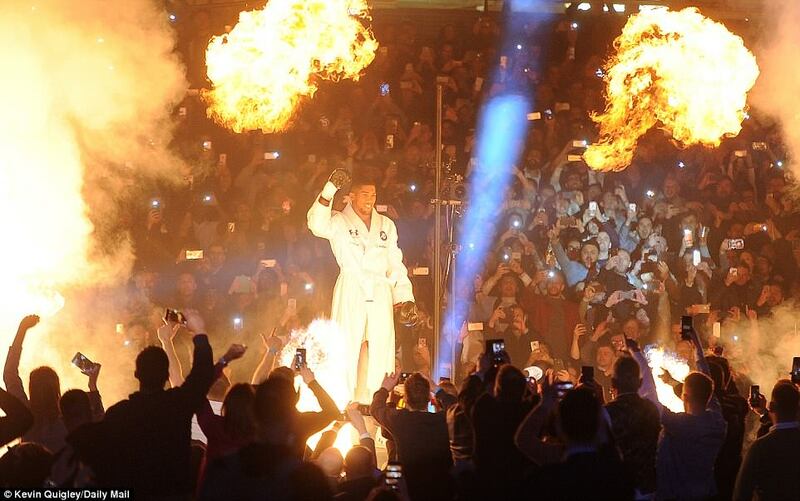 Parker preceded Joshua into the cauldron, a potentially daunting occasion for which he had prepared by scouting out the ring and the arena the night before. 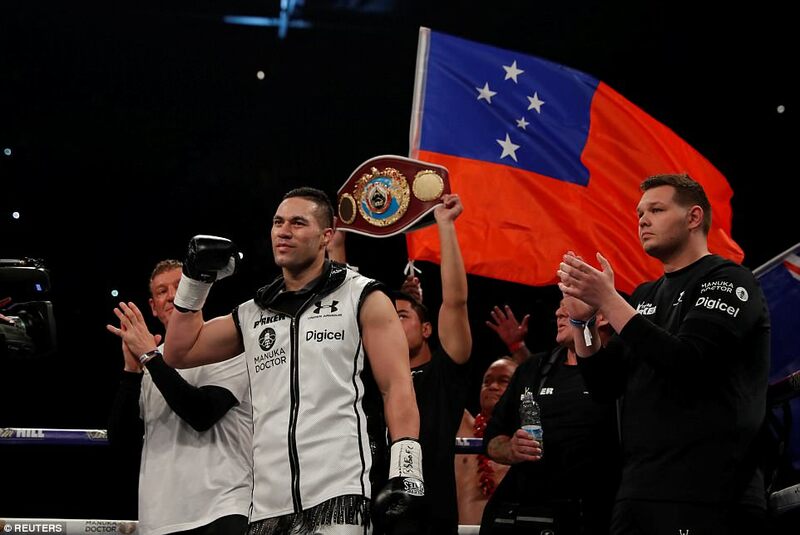 He was accompanied on that longish ring walk by his Haka performers and New Zealand and Samoan flag-bearers. Joshua made the journey alone, through flames and thunderous sound, a god in his pure white robe. 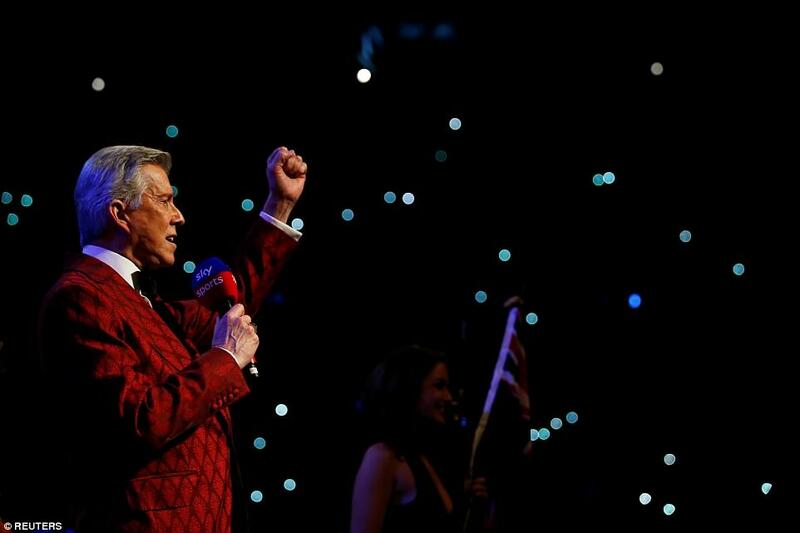 Oh, Anthony Joshua, they sang. Let’s go, Anthony Joshua. The expectation was that Parker would use his speed to mount an early assault. Either that or he might freeze on the vast stage. 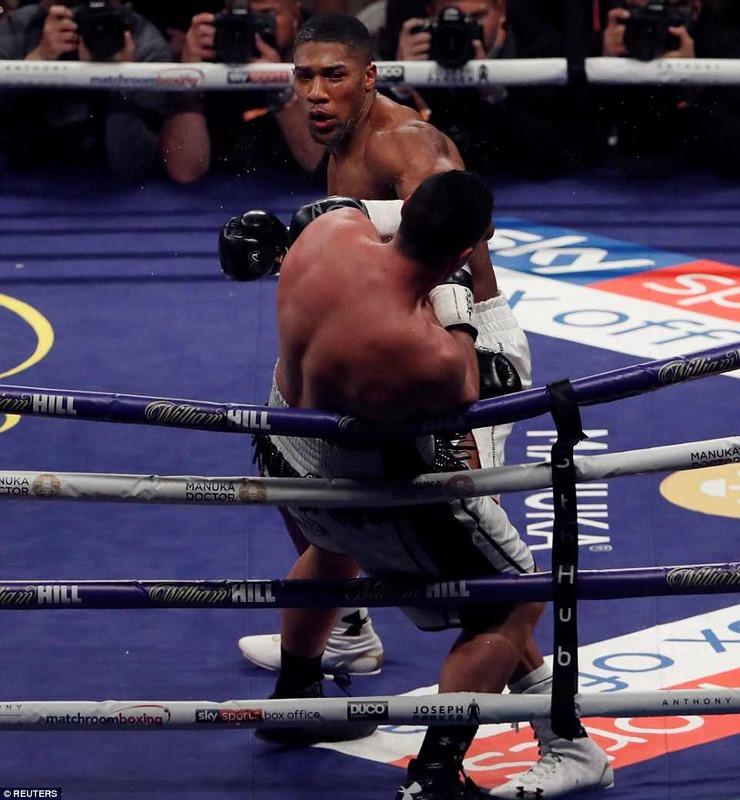 It was the former, although Joshua was able to neutralise him by commanding the centre of the ring before landing the first hefty hooks of the night with both hands. 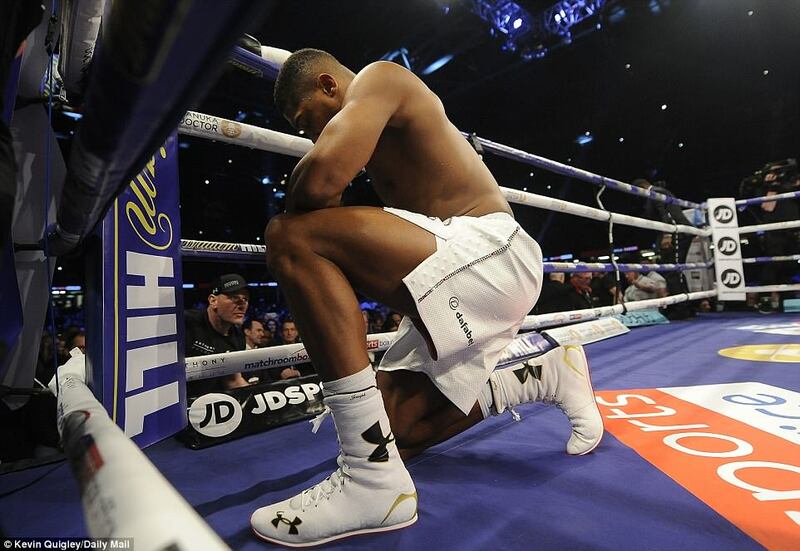 Joshua had promised to use his improving boxing skills and he was good as his word in the early stages. He was quartering the ring and measuring his man and marginally outscoring Parker in the second. Parker’s renowned chin was more evident than his speed in the third. While he found it difficult to nip in close to Joshua, he had to ride not only a succession of ramrod jabs but also withstand one shuddering burst of lefts and rights. 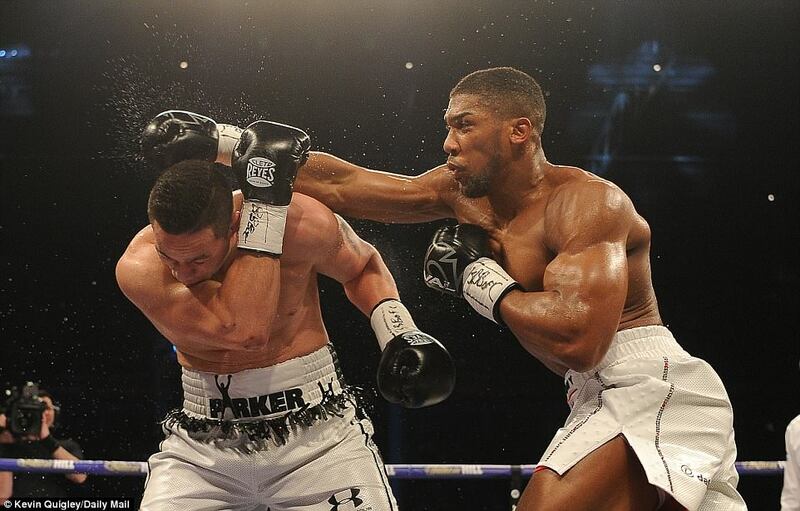 Parker was enjoying some success with his sharp left hooks but the sheer size and power of Joshua was keeping him mostly on the retreat and he was wobbled a little again. The WBO title holder was keeping himself in the rounds but having difficulty doing enough to win them. 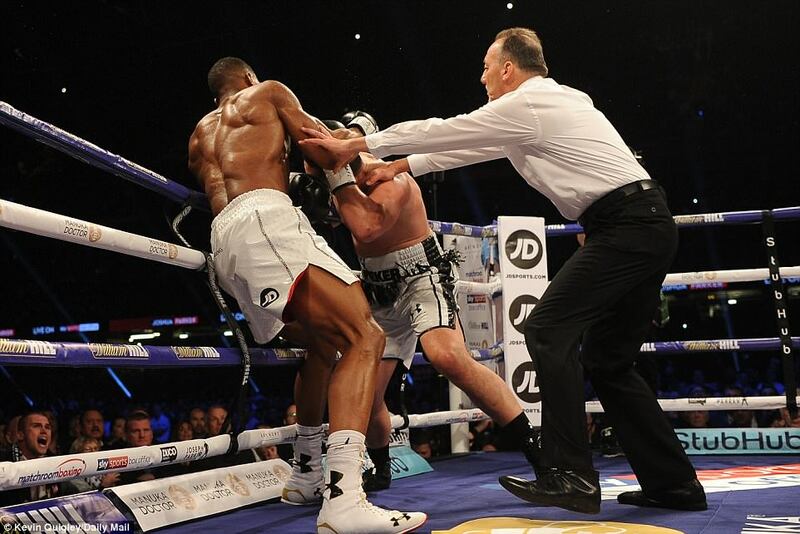 He did, however, appear to edge the fifth when he broke past the AJ jab to land a couple of good rights. Suitably encouraged, Parker went on all-out attack at the start of the sixth and drove Joshua around the ring with a series of rights. When Joshua landed a heavy right himself the Kiwi absorbed the shock, true to his resilient reputation. 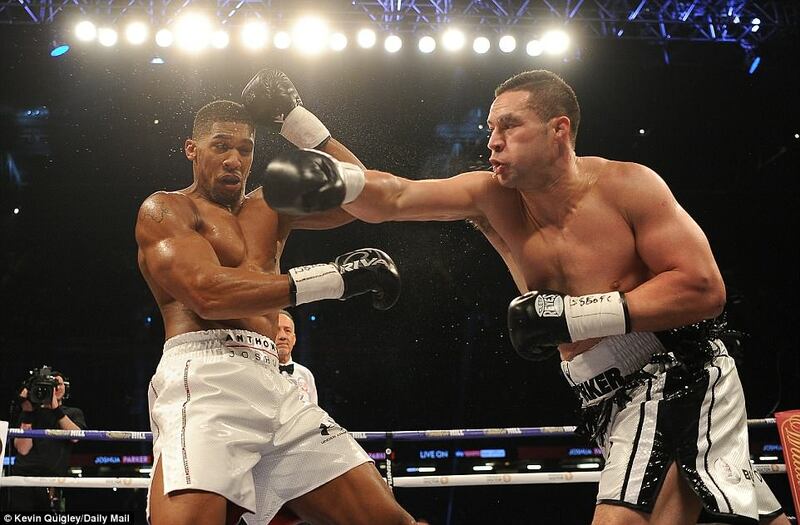 Plan B for team Parker, if he could not land an early knockout, was to test Joshua’s allegedly suspect stamina deep into the fight. 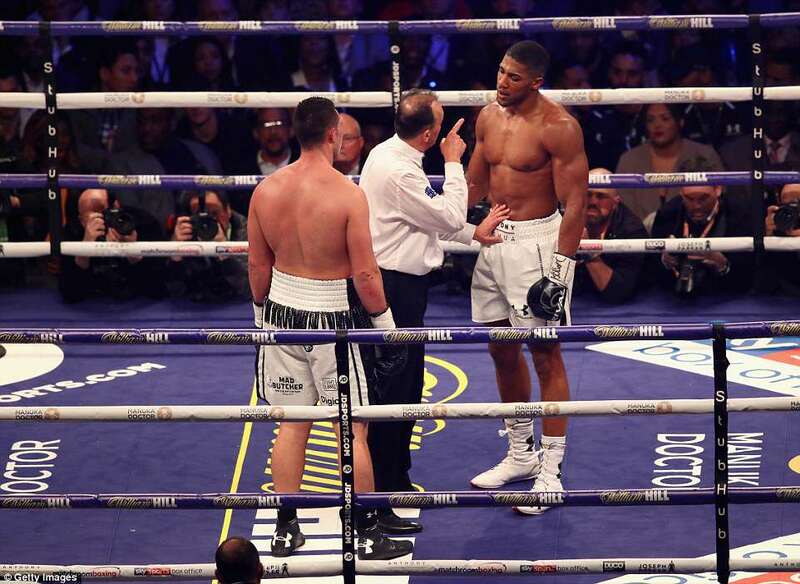 Joshua was warned by referee Giuseppe Quartarone for throwing a huge right uppercut on the break. The punch was reminiscent of the one which undid Wladimir Klitschko at Wembley but fortunately it did not have the same effect. Had it done so there might have the risk of a disqualification. 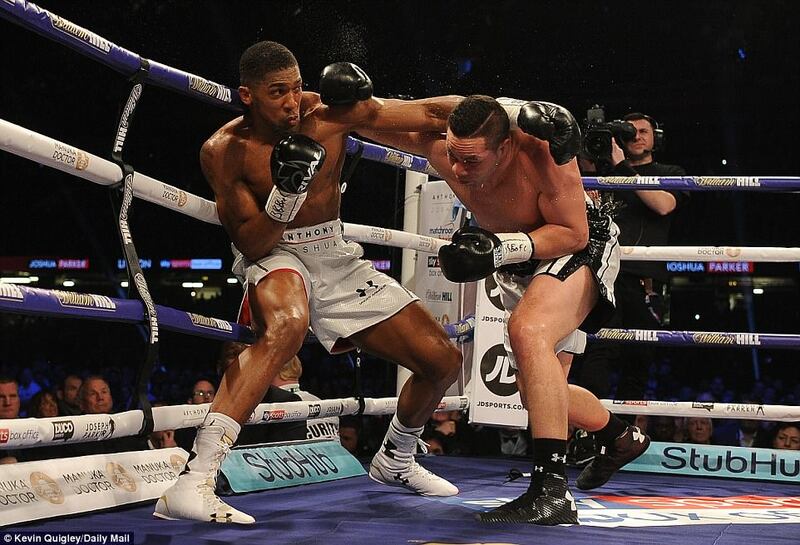 Parker was doing his best to drag Joshua into a brawl. 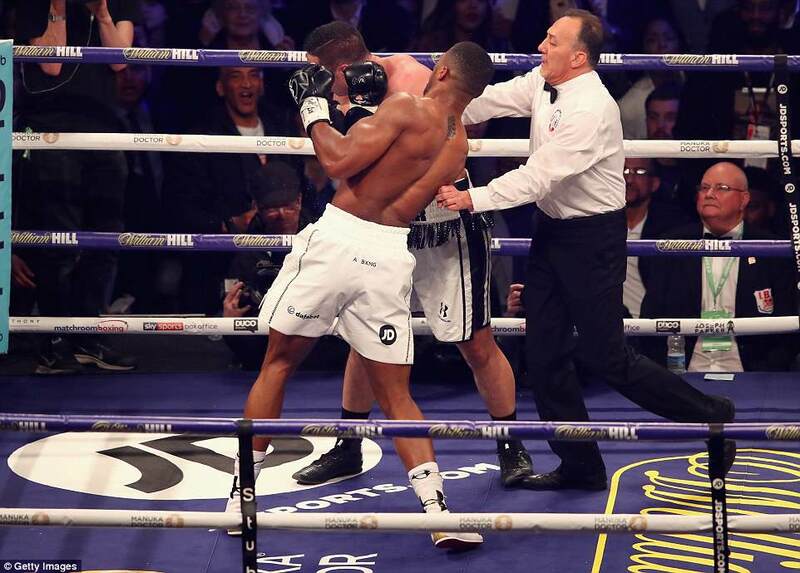 AJ was tempted but held his temper and picked off the his opponent with a sizeable left at close quarters. 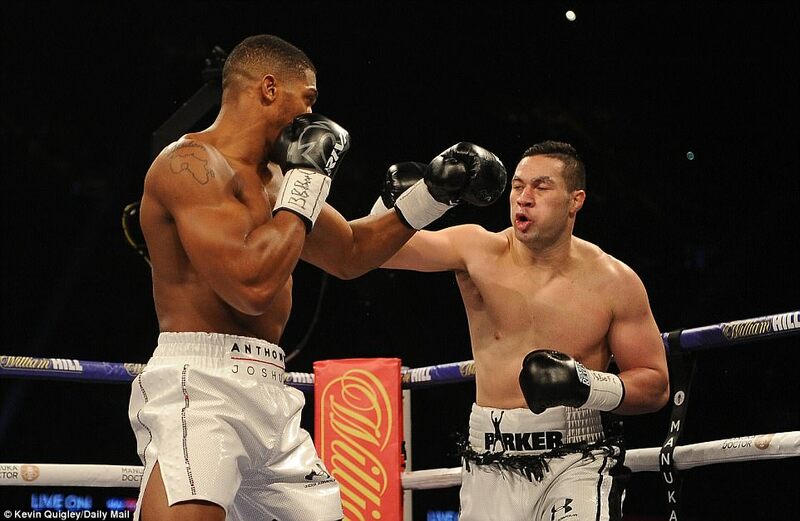 This time Parker staggered but again he took a punch which might have finished many another heavyweight. 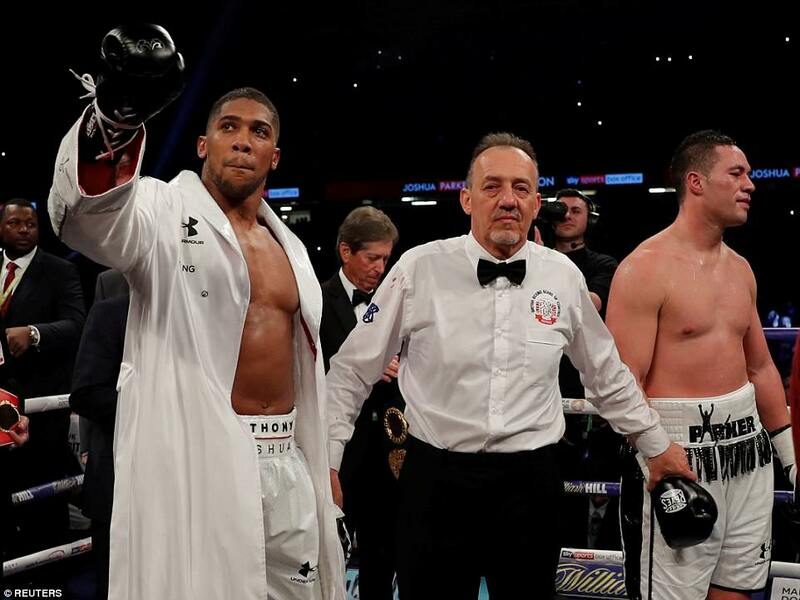 We were in the rounds in which Joshua had predicted a knockout victory, but his rhythm was being interrupted by the tape on his glove coming loose. That made for a messier round and Parker may have edged it with a couple of right-hand sorties. Joshua reasserted himself with three big lefts which reddened Parker’s right eye. But once again he was having trouble putting his man away. 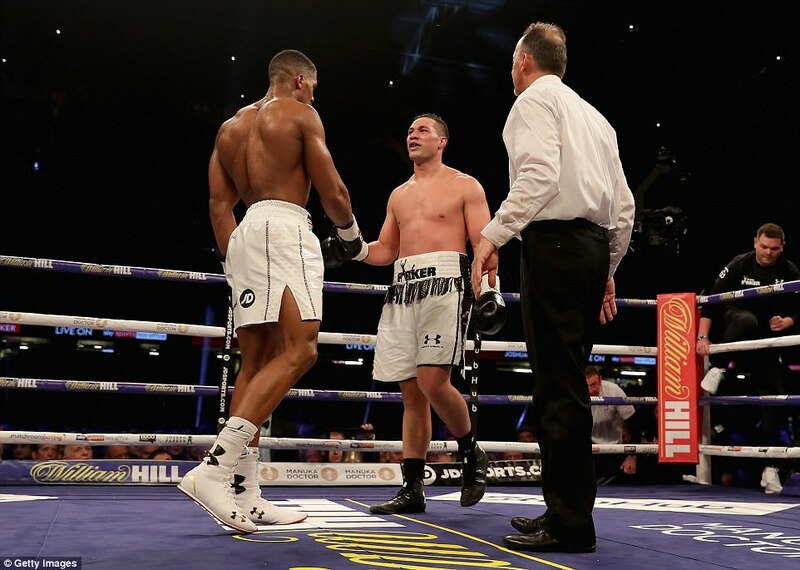 Parker had made real fight of it against size and odds but there was still no sign of the knockout he needed when decisively behind on the score cards. And a couple of late lefts from Joshua took the penultimate round away from him. There was no sign of Joshua running out of steam. So that question appeared to have been answered. But come the final bell Parker had still never been put down in his career. 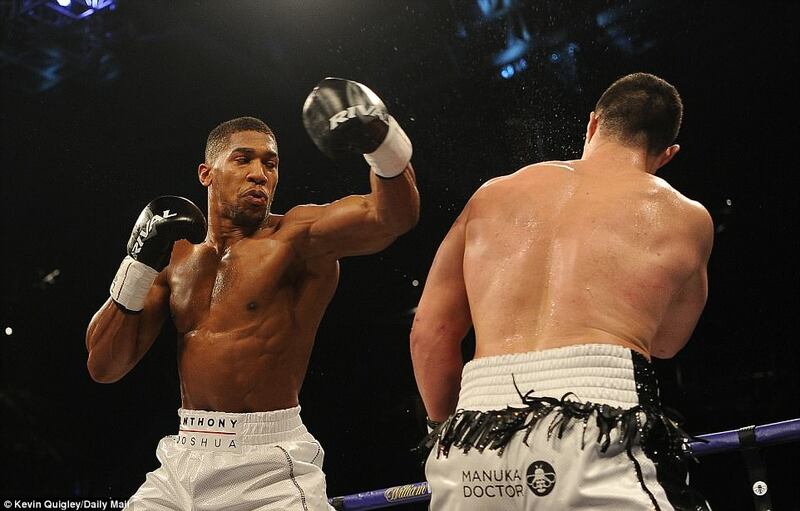 Joshua went for that scalp in the last but the knock-out was not be and the reception from the crowd was mixed.